Our blood reveals many different aspects about our health. Every human being has three different types of blood cells: white cells, red cells, and platelets. Each serves their own purpose and function within a person’s body. Blood tests look at the state of these blood cells, allowing us to determine the health of an individual and whether or not a person may be combating an invisible illness. Researchers are now finding another use for the simple blood test – not only could it be used to guide a cancer prognosis, but it may even enable doctors to catch cancerous growths before they spread, to determine which ones will become malignant, and to flag which ones will recur after removal. This new measure could dramatically change the tide of deadly cancer rates around the country. Click here to find out how you can experience greater bladder control, less frequent urination, and even better sexual performance! A study was recently presented at the Anesthesiology 2013 meeting, led by Dr. Jinbo Liu M.D., M.S. of Cleveland Clinic. The study showed that a simple blood test could be used to detect the presence of both lung cancer and prostate cancer, even in their early stages, as well as diagnose the probability that the tumors would recur after they were removed. If this study proves to be true, the instances of lung and prostate cancer could decrease dramatically. Diagnosis of cancer at early stages is a challenge for doctors. Up until now, there were few ways available to test for markers of cancerous cell growths in the body. However, the results of the Cleveland Clinic study have revealed particular markers that may point to the presence of cancer in the body. Testing for these markers will aid doctors in their diagnosis of cancer, as well as in providing a prognosis of future recurrences. Serum-free fatty acids are the markers that can be tested to diagnose cancer in its early stages, and the metabolites resulting from the presence of these fatty acids will provide even more clues for doctors. These screening biomarkers are easily detected through a blood test, enabling doctors to catch cancer in its early stages. 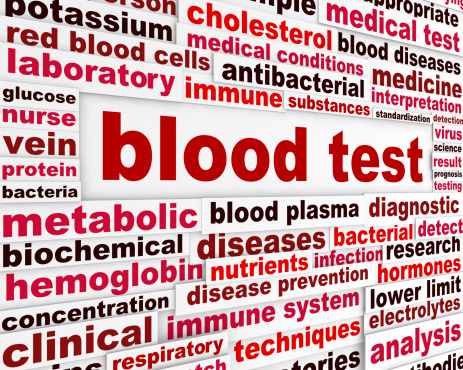 In the study, 40 prostate cancer patients and 55 lung cancer patients had blood samples taken. Their blood samples were compared against samples of people free of cancer. The blood work showed that the concentration of serum-free fatty acids and metabolites were between 1 and 6 times greater in cancer patients than in the healthy patients. In the second phase of the study, blood was drawn from 24 patients before they underwent surgery to remove tumors in their lungs. Their blood was drawn again 6 hours after surgery, and once more 24 hours post-operation. The samples showed that the concentration of serum-free fatty acids decreased drastically in the 24 hours following the surgery – between 3 and 10 times. What Does This Mean for Lung Cancer and Prostate Cancer Patients? With lung cancer being the most common cancer in the world and the top cancer killer in the country, the results of this study will have huge effects in the world of preventative diagnostics. Prostate cancer is the most common form of cancer among men, and the tests used to detect it are not yet completely accurate. With this simple blood test, doctors are now able to detect and diagnose both forms of cancer early enough to have a chance to treat them before they worsen. The number of deaths resulting from lung and prostate cancer in the country could drastically be reduced thanks to the simple blood test method. With further research, scientists may even be able to use this method to discovering simple ways to detect other forms of cancer.